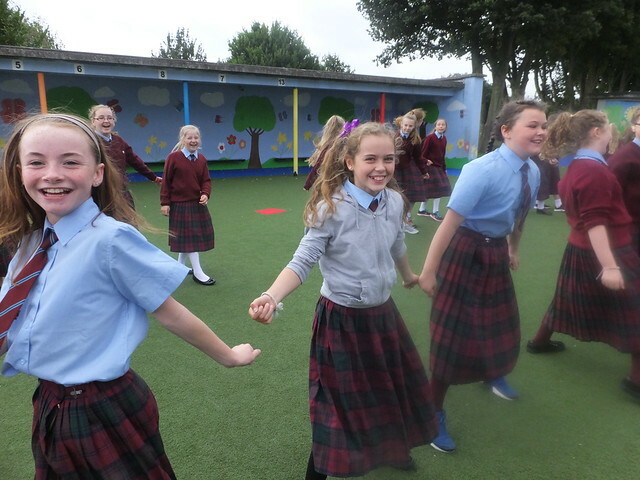 During European Week of Sport in September all of the classes in the school came together in the yard to dance! 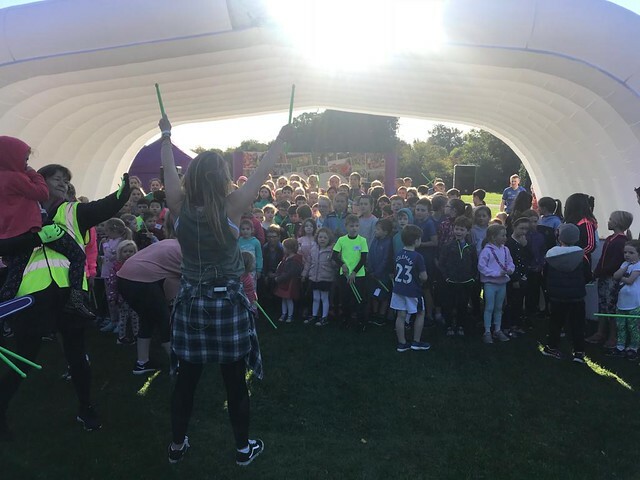 The children were led by some of the teachers as they all danced and performed to 'Gummy Bear', The Shimmy Shake' and 'Macrarena'. 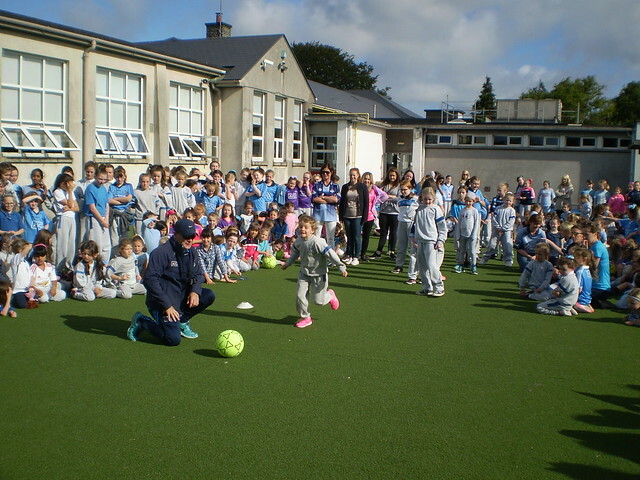 Children from each of the classes took on the teachers in a penalty shoot-out. Noel, our care-taker, was goal-keeper and Ronnie, our GAA expert, was referee! The pupils managed to beat the teachers on the day with Ruby W from Ms. Devilly's class winning overall champion. Well done to all!